The joy of country living just 5.5 miles from downtown Brenham. 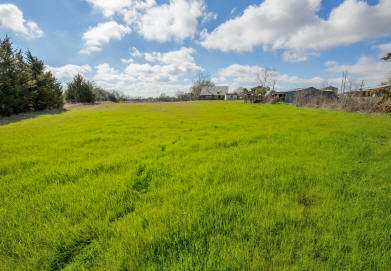 Room to roam on 5.5+/- well maintained acres. 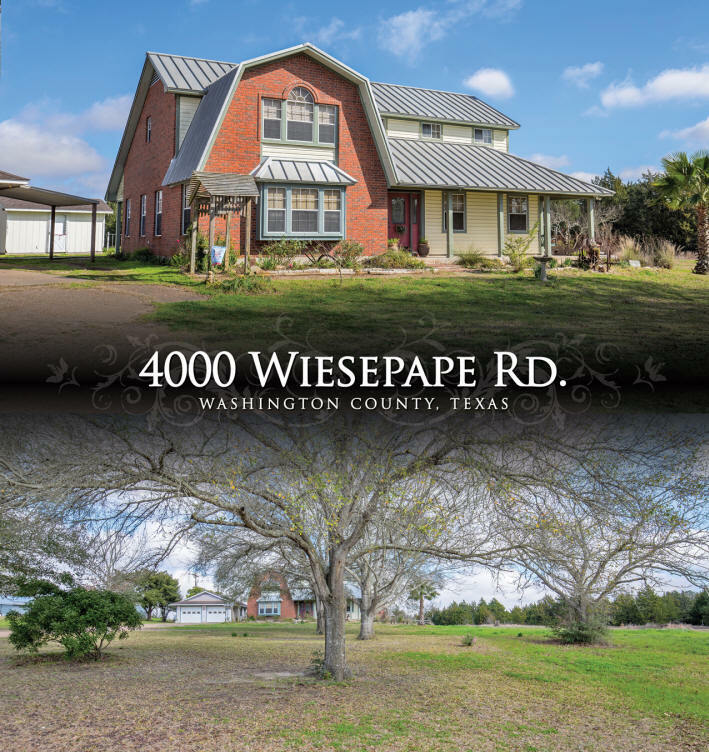 Custom built 2597sqft home with gambrel metal roof and covered porches front and back to relax on and to enjoy the view of your live stock and the rolling country side. The home has beautiful detailing with wood trim around doors and windows, crown molding, wainscoting, and more. Spacious living area with lots of light, large dining room with pine floors, and kitchen with plenty of counter space, custom cabinets, gas cook top, double oven, pantry with adjustable shelves, and window overlooking the back yard. The master suite is downstairs and the master bath has a charming claw foot tub, separate shower, two sinks, and his and hers closets with built-in dresser. Two large bedrooms upstairs, each with two closets, and lots of natural light. 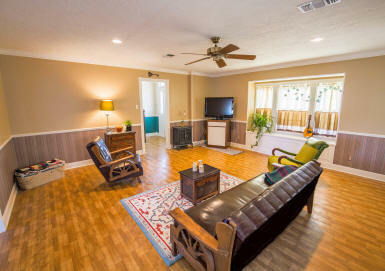 Also, there is a bonus room that can be used for an office, craft room, or additional storage. The property includes an over-sized detached garage, well house, custom dog enclosure, and small barn.